The 3D printing industry is constantly pushing the boundaries for what is possible to print. But lowering the thresholds to make industrial 3D printing more accessible is equally important. Back in 2016, when PLM Group’s 3D printing division decided to partner with the innovative American 3D printing company Markforged, we knew it was a perfect fit. We are passioned in our quest to provide reliable industrial-grade 3D printing solutions to our growing customer base from various industry verticals. This was also the basic concept that Markforged’s founder and MIT alumni, Greg Mark, brought with him when he started the company in 2013. At that time, there was a huge gap between low-end 3D printers and production printers. Low-end printers had, and still have, limitations in terms of reliability and mechanical properties in the components you print. They are, more or less, good for prototyping. Even though this was the main application at the dawn of 3D printing some thirty years ago, many companies that have used 3D printing as a means for rapid prototyping, now see other valuable usage areas. The lowest hanging fruits are production tools, like jigs, fixtures and grippers. 3D printed tools have saved many euros and dollars for small and large manufacturing companies, but they can’t be printed using a 2,000 euro 3D printer. 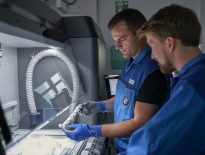 It was this realization that drove Markforged to develop their unique technology with continuous carbon fiber reinforcement. Basically, weaving long strands of carbon fiber into the build process to create unprecedented strength from regular FFF technology. Whether you are using the desktop sized Mark Two, or the industrial X7, parts printed on a Markforged composite printer have properties that in some cases are equivalent to traditionally manufactured aluminium tools. The strength of Markforged can also be seen in the money they bring in on funding. In the latest round, the company brought 82 million dollars, all ear-marked for research and development. Doubling the 83 head strong engineering team at their headquarters in Watertown, Massachusetts, is top priority. For customers, this is a good thing, because it will enable the company to develop more materials, maintain their high quality in production, and bring a tonne of new solutions to the market. The initial driver that brought the first composite 3D printer to the market some six years ago is now about to reshape the metal 3D printing landscape. Metal 3D printing has long been considered very expensive, with an average cost of about 400,000 euro for a metal printer. With the Markforged Metal X, priced at around 100, 000 euros, metal printing is becoming much more accessible to the manufacturing industry. 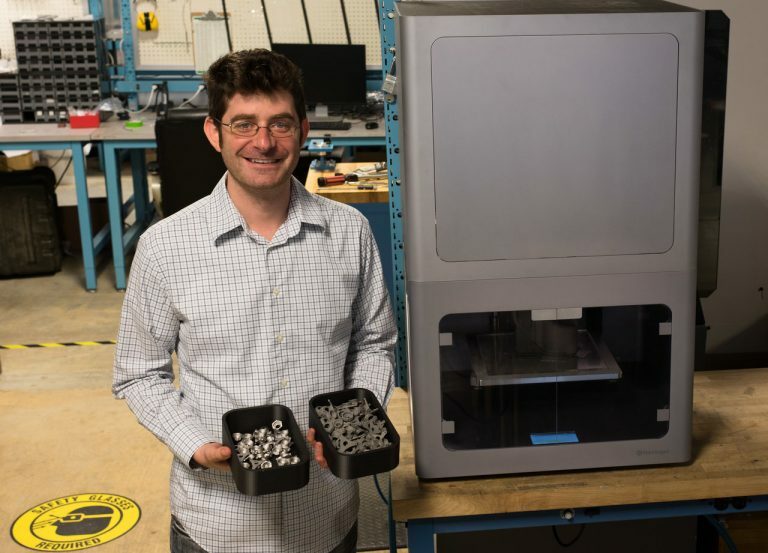 Here at PLM Group, we share Markforged’s vision – 3D printing should be made more accessible. We work daily with customers helping them in overcoming their challenges, reshaping production and prototyping processes, and, ultimately, adding a competitive edge that allows them to stay strong.